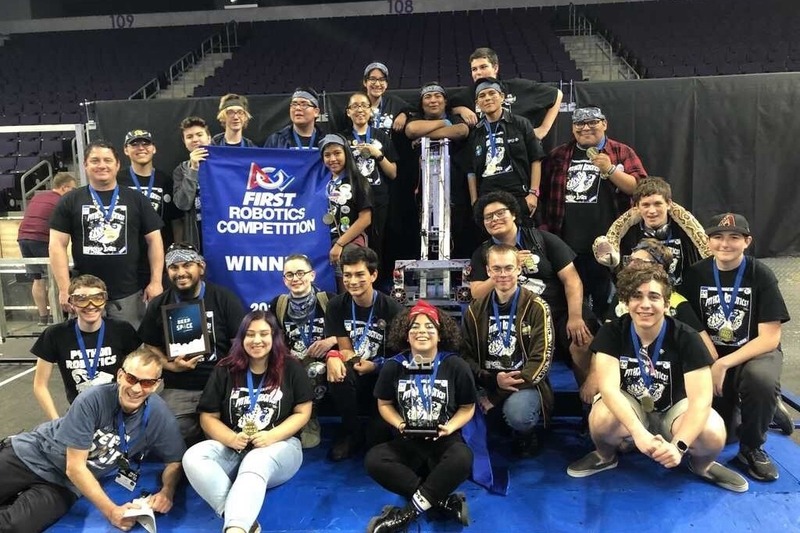 Phoenix Coding Academy's robotics team qualified to compete against the best in the world, but we need your help getting there and we only have 1 WEEK! Go ahead and call it a comeback. After ranking dead last at our LA North Regional in March, our team, Python Robotics FRC 6833, had bit right action with our OUTSTANDING REGIONAL WIN with our two alliance partners at the AZ West Regional this past weekend! Along with this, we won on behalf of our beloved teacher and mentor George Cardenas the most prestigious award for any mentor: The Woodie Flowers Finalist Award! Both of these amazing accomplishments qualify our team for World Championships where we will compete with the best teams around the world! Our goal is to send all 20 of our members to Houston, TX where World Championships will be held and WE NEED YOUR HELP! -Who you are: Hi, I am Chrissy Koepp, one of the mentors for the PCA Python Robotics team. 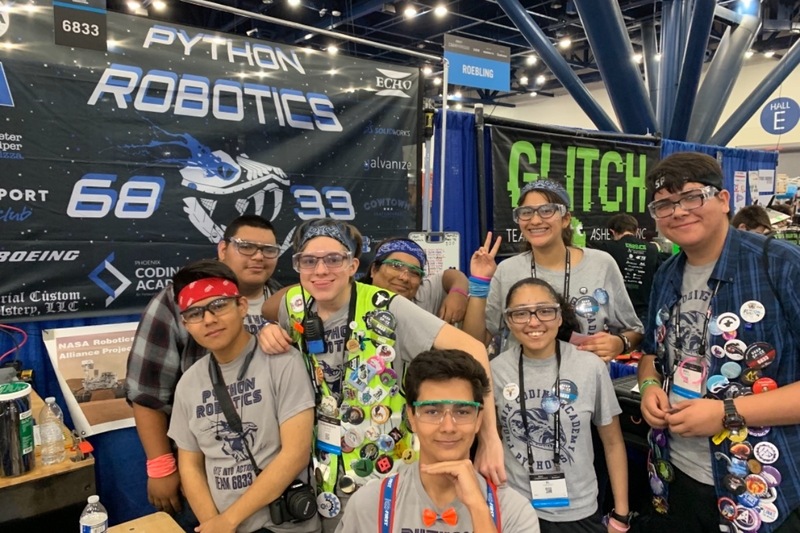 -Your relationship to the parties you're raising funds for: I work with the students of the PCA Python Robotics team after school and on Saturdays and have the privilege of helping them do more than just build robots. -How the funds will be used: All money raised through this campaign will be deposited into the club fund where it can then be used to pay for the entry fee, travel, lodging, and supplies for the World Championships. -If you intend to withdraw the money, how you plan to send the funds to the parties you're raising money for or use the money on their behalf: After the money is withdrawn from this campaign, it will be spent on items for competition or deposited directly into the Robotics Club fund at the Phoenix Coding Academy in Phoenix, Arizona. We want to give a sincere and heart felt thank you to all of our amazing supporters! Innovative steps are being taken in the heart of Phoenix and it would not be possible without your support! Python Robotics has been working hard with the help of your guy's support. From 1.3 K to 8.5 in 4 days, 4 DAYS! Thank you, everybody! With the help of all the supporters, the team was able to pay for the registration fee to get our robot to Houston. 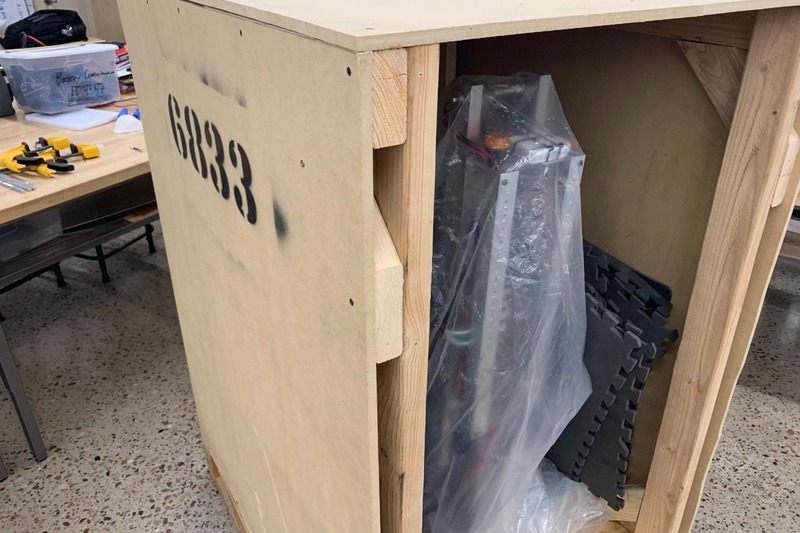 They had to make a crate for our robot to be shipped and here is a picture of it. We will make another update tomorrow! Update: Our beloved mentors are willing to drive our team 17 hours all the way to World Championships in Houston Texas. This reduced our goal by $10,000 making it now $11,000. We want to say thank you all who have already help us with this monumental task, and we ask that you keep sharing our message and our goal to ensure we can make it to the World Championship! !